We shouldn't fall prey to scare tactics in the health-care debate. When I was in the Army and known to my friends as "Combat Cohen," I could not get over the fact that, during an era of almost universal military service, the American public supported high Pentagon spending, despite firsthand knowledge of astounding waste and theft. I cite, for instance, the well-known and frequently witnessed pillaging of food by mess sergeants. From tasting their stuff, I can say that theft is what they did best. Now I am similarly perplexed. Many, if not most, Americans have some experience with our nation's mostly private health-care system. Yet they still fall prey to the scare tactic that nothing — but nothing — could be worse than a government takeover of the system. How things could be worse than they are now, I cannot imagine. In the past two months, I have spent many hours accompanying a loved one to hospital emergency rooms — all of them privately operated. The rap on what is sometimes called socialized medicine is that if the government ran the system, the wait would be interminable. Well, I am here to tell you that even when the government does not run the system, the wait can be interminable. And uncomfortable. In one hospital there was not enough space in the emergency room for all those seeking treatment. My friend got moved from a bed — where she was relatively comfortable — to a wheelchair in the hallway. There she sat, in agony, for about six hours. Something similar happened at another emergency room, though this time she was given a cot. The wait, though, was just as long. The emergency room has become the equivalent of the family doctor. It is where you go if you don't have a family doctor or if you do have a family doctor and it's after-hours or the weekend. It is also where you sometimes have to go in order to be admitted to a hospital. The staff is mostly courteous, sometimes wonderfully solicitous, but the constant triaging of new people can put you on a treadmill to nowhere. 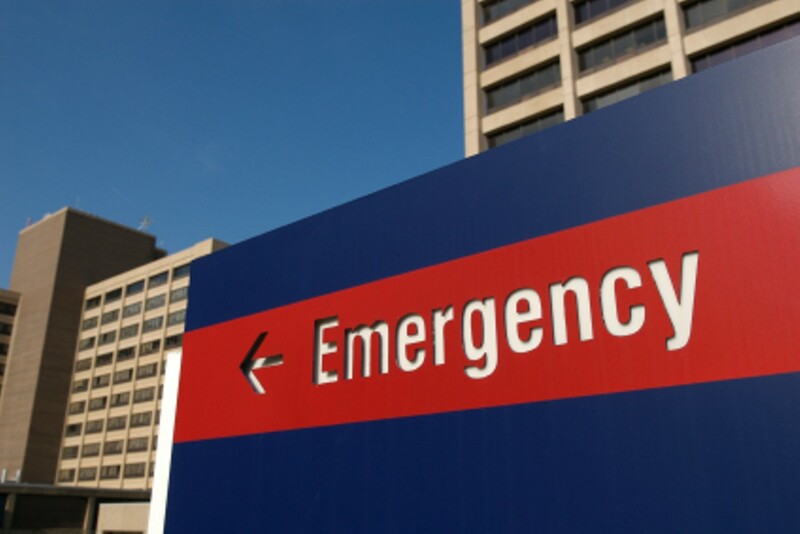 The emergency room is the great leveler of American life. Everyone gets miserable treatment. "What I saw were doctors who were set up to provide care in animal stalls. Or they'd erected tents to care for people. And I saw people lined up, standing in line or sitting in these long, long lines, waiting to get care. People drove from South Carolina, Georgia, Kentucky, Tennessee — all over the region." Thank God we don't have socialized medicine. Into this debate about the role of government in medical care, I come jaded by experience. In addition to having been Combat Cohen, I was also Cohen of Claims when I worked for an insurance company. This means that whenever someone says something about "government bureaucrats," I smile, because I was once a non-government bureaucrat. It is not government bureaucrats who say that certain treatments will not be covered, and it is not the government that purges insurance rolls of the sick or the old, and it is not the government that makes money — lots of money — on health insurance. It is private enterprise. But as Potter points out, the insurance industry sets out to spook the public with talk of "socialized medicine," "government bureaucrats," and "government-run health care." My loved one recently had to return to the emergency room because she was dehydrated. Her insurance company listed the reasons someone could return, and dehydration was one of them. They still denied her claim. The government had nothing to do with it. The ongoing health-care debate is complex, but in deciding what to do and who to support in the current attempt to reform health care, don't rely on insurance industry propaganda but on your own experience. Recall the last time you went to the emergency room and ask yourself whether the government could possibly do a worse job. If the answer is yes, you might need medical attention more than you realize.